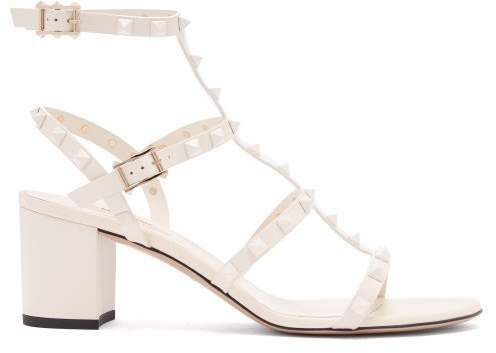 Valentino - Valentino elevates the sandal silhouette with a sturdy block heel for this pair of white Rockstud sandals. Crafted in Italy from leather to an open toe, they’re detailed with ankle, arch, front and slingback straps topped with tonal studs which frame the foot elegantly. Complete the look with ankle-baring hemlines and soft hues.